The landscape of Android tablets in Australia is extremely sparse. 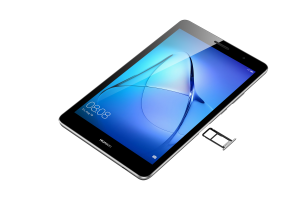 Huawei have brought their MediaPad tablets here for a modicum of success. 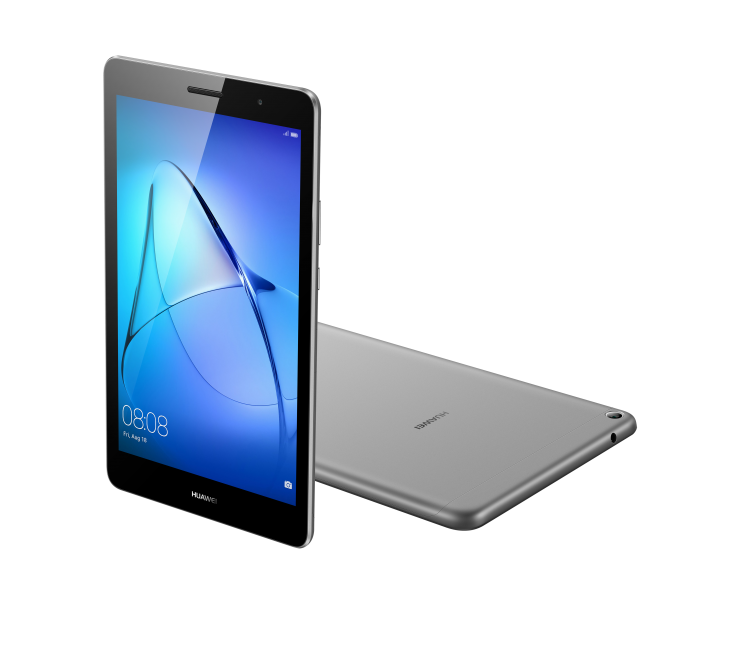 They have today announced that they are launching their new 8 inch tablet, the MediaPad T3, in Australia through Vodafone. 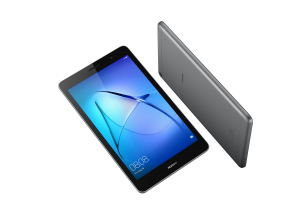 The Huawei MediaPad T3 is tablet designed for media consumption (hence the name) with an 8 inch 800 x 1280 pixel, 16:10 ratio IPS display. The display is housed within an “aviation-grade anodised aluminium chassis” and weighs 350 grams. At just 8mm thin it sits easily in the hands for reading or watching videos: the overall dimensions are 211mm x 125mm x 7.95mm. 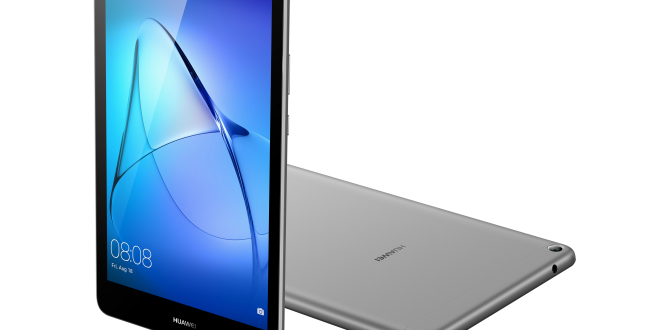 The specs of the MediaPad T3 won’t set the world on fire but for a device aimed at media consumption little is required, and MediaPads have always excelled at this no matter the specs. 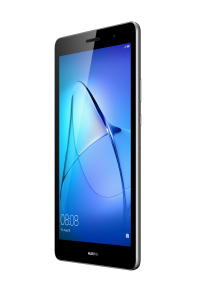 The tablet is powered by a Qualcomm Snapdragon 425 and has just 2GB of RAM and 16GB of internal storage. This storage can be extended by another 128GB using the microSD slot. There is a 5MP rear facing and a 2MP front facing camera but, who really takes photos with a tablet. The tablet is designed with families and kids in mind with it arriving with a Kids Corner app that has kid-friendly content. It also has built-in password and parental settings to help parents control what the kids have access to and how long they have access to it. 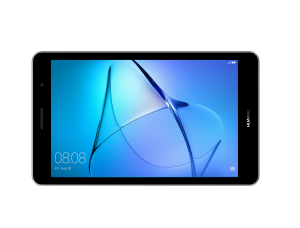 The MediaPad T3 will be available from Vodafone from the 15th of November and will support both WiFi and LTE so we expect it to be available on one of their plans — if you could call them that these days. At this stage pricing is unavailable but will let you know when we know more. If you are looking for, what is most likely going to be, a cheap tablet this could be one you may consider. It’s specs may not wow but MediaPads have always been great for media consumption, hopefully this will be too. Head into a Vodafone store after the 15th of November and check it out. Well, the Amazon Fire HD 8 tablet can be had for the equivalent of $105, and that has Alexa and connects in with the Amazon media ecosystem, so I assume this will be significantly less than $150, right ? it’d be good if Alexa worked here. even after some hackery and tweaks you can get it to sort of work here but it is nowhere near ready. The amzon fire HD though is a decent option though. The difference is that the Huawei will be in stores here. Actually it does work now, they fixed the location/timezone stuff a while back. And I’m sure when Amazon launch (within a week?) 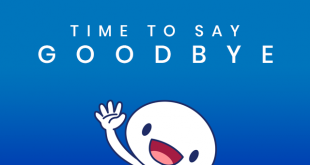 the app, buying them, etc. will all turn on too. The 10″ Fire HD tablet does look good (no GPS though). It’s almost as if they keep bringing useless, pointless tablets to market to deliberately kill the segment. This “media” device has all of 16GB storage for all your photos, music, films etc. WTD? Who dreams this rubbish up? I’d be better off with some piece of junk from ALDI. it is a very strange decision to bring out a tablet with such terrible specs. Please, someone recommend a tablet to me. 7″ or 8″, at least 4GB RAM, dual speakers or at least front facing. Pretty please! Sadly, there’s just nothing in Australia running Android that offers this currently. Shame. I got a MediaPad M2 2 years ago, and this tablet looks like a near identical spec. I’d love an upgrade but in reality, there is nothing to upgrade to! As Daniel suggested probably your best option is to try importing one from one of the Chinese retailers. The only issue is many couriers now refuse to ship devices with batteries in them so you may not get free shipping. I know DHL will and are super fast.